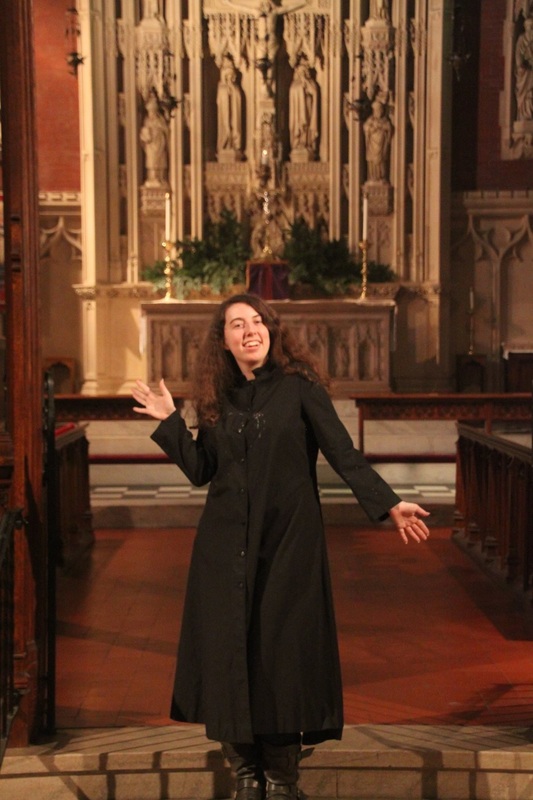 One of the major benefits of living at Saint Hilda’s House is our connection to Yale Divinity School. Each week, the Berkeley Divinity School invites us to their Wednesday Eucharist and community meal. Along with this weekly fellowship, we are always welcome to attend talks and presentations at the school. 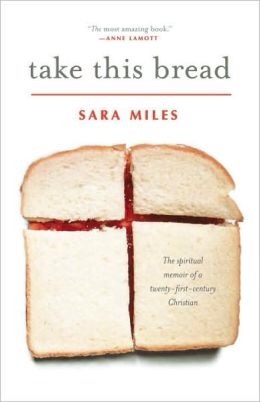 Because of this connection, on Tuesday a housemate and I were able to hear one of my favorite authors, Sara Miles give a talk on her book, “Take This Bread: A Radical Conversion” (it's the yearly all-school book, so all students, staff, and faculty at YDS received copies). It was an amazing discussion, and her visit touched on more than just food: it also connected to the Divinity School’s theme of “Building Sustainable Communities” (which makes sense: she's also the author of 'Jesus Freak: Feeding- Healing- Raising the Dead' and 'City of God: Faith in the Streets', as well as the founder and director of The Food Pantry and Director of Ministry at St. Gregory of Nyssa Episcopal Church in San Francisco). “One early, cloudy morning when I was forty-six, I walked into a church, ate a piece of bread, took a sip of wine. A routine Sunday activity for tens of millions of Americans — except that up until that moment I'd led a thoroughly secular life, at best indifferent to religion, more often appalled by its fundamentalist crusades. This was my first communion. It changed everything. The cover of Sara's book 'Take This Bread'. Needless to say, my work at Loaves and Fishes this year has given me a lot of reference points to relate to what Ms. Miles says. It was a completely different experience to hear her speak in person, however, and to hear what thoughts she is struggling with currently. They certainly provoked me in new ways. For example, one central point she brought up this week was the fact that eating higher quality food does not make someone a good person. An image that kept coming up in my mind was one of Jesus being present at all meals. Jesus is there with the person who goes out of their way to eat an organic kale salad with quinoa, Jesus is there with the house of service corps members eating macaroni and cheese with hotdogs because they’re excited that the housemate who said they couldn’t cook has finally made a dinner, and Jesus is there with the family who chooses to eat McDonalds regularly because its cheap and the kids will eat it. She ended her talk with the words of the patron saint of her home parish Gregory of Nyssa, and I don’t think I could sum up my thoughts on the topic any better. “So we say to God: Give us bread. Not delicacies or riches, nor magnificent purple robes, golden ornaments, and precious stones, or silver dishes. Nor do we ask Him for landed estates, or military commands, or political leadership. We pray neither for herds of horses and oxen or other cattle in great numbers, nor for a host of slaves. We do not say, give us a prominent position in assemblies or monuments and statues raised to us, nor silken robes and musicians at meals, nor any other thing by which the soul is estranged from the thought of God and higher things; no—but only bread! . . .
“But you go on business to the Indies and venture out upon strange seas; you go on a voyage every year only to bring back flavourings for your food, without realizing that it is above all a good conscience which makes the bread tasty because it is eaten in justice.